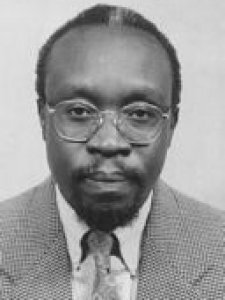 Egwang was educated in Uganda, Canada and USA. He is Dir. Gen., Med-Biotech Laboratories, Kampala, Uganda. He was exec. dir., African Academy of Sciences, Nairobi, Kenya; CEO, Uganda Media for Health (UM4H), Artemis Clinical Trials Group Uganda Ltd, Artemis SMS Cente, and Artemis Eco-Energy; and member, Governing Councils, ICIPE, Kenya, and NALIRRI, Uganda. He was previously: Fellow in Medicine, Univ. Hospitals of Cleveland; vis. scientist, UC Berkeley; Directeur du Recherche, CIRMF, Gabon; and director general and CEO, Med Biotech Labs., Kampala. He has served on adv. boards of Uganda Natl. Council for Science and Technology and Mbarara Univ. for Science and Technology, and steering committees/panels of WHO/TDR, EU, and Partnership Board, EDCTP, Hague. His awards include: Career Dev. Award, WHO/TDR; Intl. Res. Scholar, Howard Hughes Med. Inst. ; Intl. Leadership Award, Elisabeth Glazer Pediatrics Found. ; and Ugandan Presidential Innovation in Science Excellence Award, 2006. Keywords	 HIV/malaria interactions; malaria vaccine studies and drug resistance; biotechnology capacity building and infrastructure development; partnership with the media for development; plant-and recombinant DNA-based biofuel production.